Dynacraft Magna Gravel Blaster Boy's 12" Bike Just $38! Down From $90! You are here: Home / Great Deals / Amazon Deals / Dynacraft Magna Gravel Blaster Boy’s 12″ Bike Just $38! Down From $90! Dynacraft Magna Gravel Blaster Boy’s 12″ Bike Just $38! Down From $90! 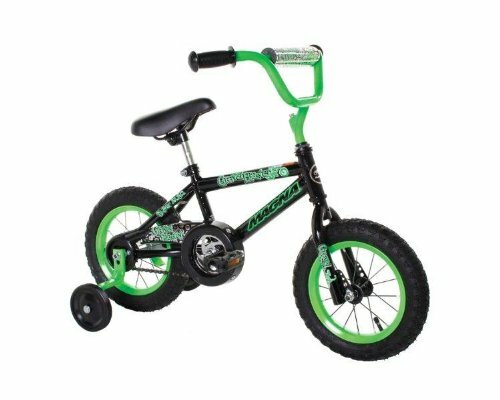 Get this great deal on this Dynacraft Magna Gravel Blaster Boy’s Bike for just $38.14! It’s down from $90! The Gravel Blaster 12″ Bicycle makes learning to ride a little cooler. It has BMX styling, complete with handlebar pad and bold colors. Fun decals decorate the sturdy frame. Other features include a rear coaster brake, an adjustable seat and a chain guard. This kids’ bicycle comes with removable training wheels for little learners. Thank you, Jungle Deals and Steals!